Attention, beach bums: make it a smokey summer! Celebrate the solstice with Greenside Recreational on June 20th with exclusive specials on a variety of cannabis products that will make this season utopian. 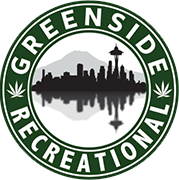 Along with top-of-the-line flower from some of the best producers in Washington, Greenside offers a host of premium topicals, edibles and concentrates. Among these are Mirth Provisions, Fairwinds and Avitas. While you’re here to pick out flower and get smoking, liven up your purchase with one or a few of these awesome alternatives! Need a nap? This Cranberry CBD Peace Tonic is helpfully hypnotic and sweet as honey. Experience this in concert with freshly squeezed lemonade for an infusion that is sure to quench your thirst. All that’s left is to find a welcoming spot in the sun for your siesta. Fairwinds boasts a stellar lineup of products expertly designed to promote specific effects. The Recharge Sativa capsules are an exceptional example; each capsule contains 10mg THC as well as beneficial green tea and Gingko biloba extracts. Green tea extract has an ample caffeine kick and Gingko biloba has been used as a versatile supplement for thousands of years. After a long day at the beach or on the boat, the contents of just one Recharge will get that internal battery juiced up in just 30 minutes to one hour. The effects of this Hawaiian Kush CO2 are a tangy dreamland. Avitas provides prime concentrates with the consumer at heart by not using any artificial additives or pesticides. Cultivation is always approached with care and innovation, keeping in mind environmental responsibility. Pair with a day of hiking or urban exploration for clarity and invigoration.